I am certainly not known as one of the most “compassionate” social workers in the world, although I have an abundance of passion and commitment to social justice. I believe strongly in social work’s simultaneous commitment to helping individuals and addressing societal injustices; indeed, I think it holds unique potential for positively impacting people’s lives. At the same time, I struggled throughout school and even still today with the expectation that I will be particularly empathic; much of social work is a bit too ‘touchy-feely’ for me, and my practice classes were at times tortuous; you can only process things so much, you know? Still, I have learned a lot from my more clinically-minded colleagues, foremost among those lessons being the importance of attending to personal well-being in the midst of a social justice movement. You’ll be much happier, and your advocacy will be much easier, if there is a good fit between the organization and your orientation towards advocacy. If you’re looking for a job, or for a new job, consider the organization’s stance on your key issues, tolerance for risk (because advocacy always includes some), and track record in standing up for justice. If you’re already in a job, talk with your supervisor about how you might integrate advocacy into your work responsibilities in small ways, hopefully in exchange for some reduction in other tasks. Build a support system–I know that sounds trite, but it is really important to find other social workers who are committed to advocacy and talk with them. You need people with whom you can laugh about how horrible that last post-audit report was and people to whom you can cry when your CEO yells at you for questioning the Board selection process. You need people who will send you occasional “I saw you on the news last night–great job!” emails and click “take action” when you send them alerts, just because they love you. You need people who can be ethical sounding boards, too, both to aid you in good decision-making and to protect you in the event of a problem, so consider the development of this support team an essential part of your practice. Be creative in thinking about how you find this support. Look at online discussion boards, advertise a book discussion or mutual aid group, connect with your School’s alumni, use a ‘snowball sample’ to find allied professionals. 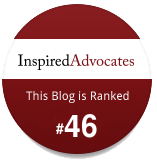 I’d love to see people connecting through this site with others who share our commitment to justice and advocacy, and I am more than willing to provide support to anyone starting out in or struggling to sustain an advocacy approach to social work. Prepare yourself for the fact that much of your advocacy work will be spent in the company of those who are not social workers. Figure out what you can ‘take’ from these other professionals and what you’re missing, and then supplement this group of colleagues, as needed, with social workers who might not share your actual work but ‘get it’ in terms of their professional and value orientations. Take the long view–don’t try to take on too much community/advocacy practice at once. This is a sure way to quickly burn out, which is, in the long-term, not only damaging to you personally but also detrimental to your cause and to the leaders you recruit. I know, here it’s a bit ‘do as I say not as I do,’ but the advocates I have most admired for their staying power and their resolve are those who have wisely learned that there’s no extra credit for martyrs and that taking care of ourselves is a first step to being able to take care of business. Mentor other advocates–I know, you feel like you’re barely keeping your head above water, and so how could you possibly help someone else, but, I promise, investing in the next generation of advocates is great insurance against feeling overwhelmed and hopeless. What do you need to take care of yourself as an advocate that you could gain here? What strategies have you found that help to sustain you? Who has been most inspiring or supportive to you in your advocacy work? 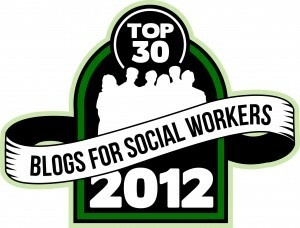 This entry was posted in Tips and How-Tos and tagged social work. Bookmark the permalink.